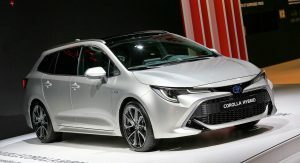 The Auris is dead, long live the Corolla! 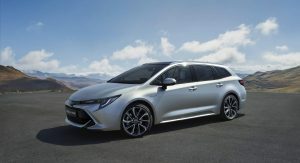 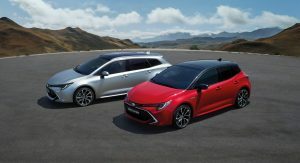 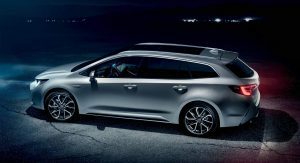 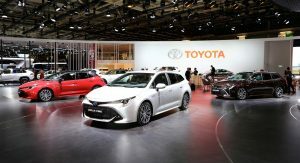 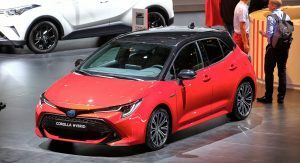 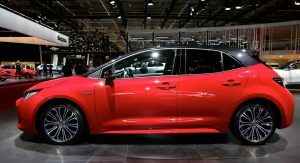 Toyota is revamping its iconic nameplate in Europe in two body styles, a five-door hatchback, and a wagon. 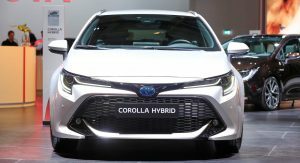 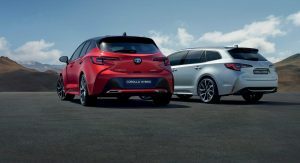 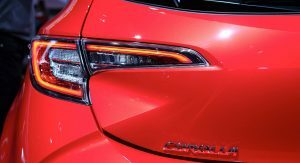 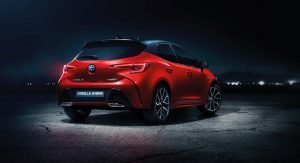 The new Corolla lineup also marks the debut of Toyota’s dual hybrid strategy, with both the hatch and the wagon offering a choice of two hybrid powertrains. 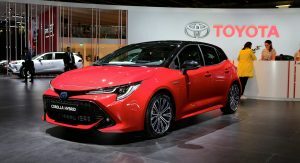 In addition to those, the new compact models from Toyota will be available with just one conventional engine, a 116 PS (114 hp) 1.2-liter turbo petrol unit. 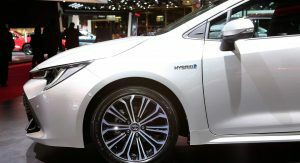 The self-charging hybrid powertrains are a 122PS (120hp) 1.8-liter and a 180PS (178hp) 2.0-liter. 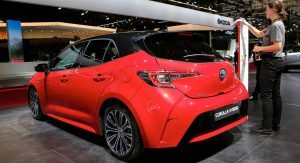 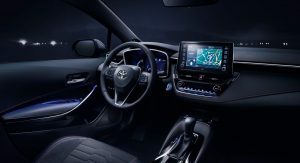 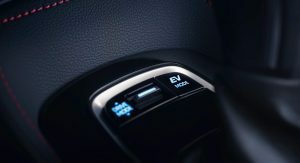 The former places emphasis on fuel economy, with Toyota claiming “outstanding fuel economy and low CO2 emissions,” as well as up to 50 percent all-electric driving on the everyday commute. 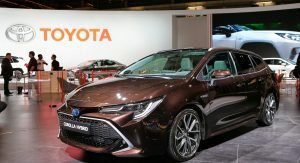 The 1.8-liter gasoline engine delivers 122 PS (120 hp) and 142 Nm (105 lb-ft) of torque, with an electric motor adding 53 kW (72 PS/71 hp) and 163 Nm (120 lb-ft). 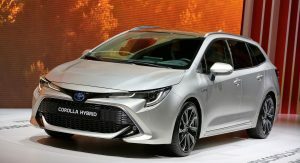 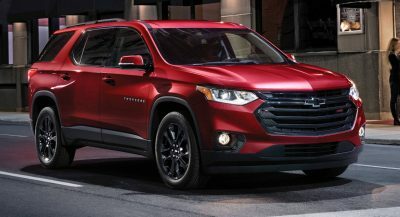 The 2.0-liter hybrid system offers 180 PS (177 hp) and 192 Nm (142 lb-ft) of torque and is assisted by a nickel-metal hydride-powered electric motor. 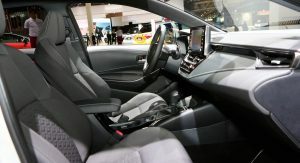 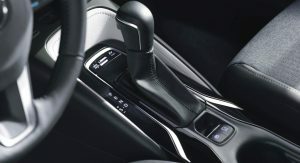 The 2.0-liter system targets buyers who want a more spirited drive, offering more power and even steering wheel-mounted paddles for a more engaging driving experience. 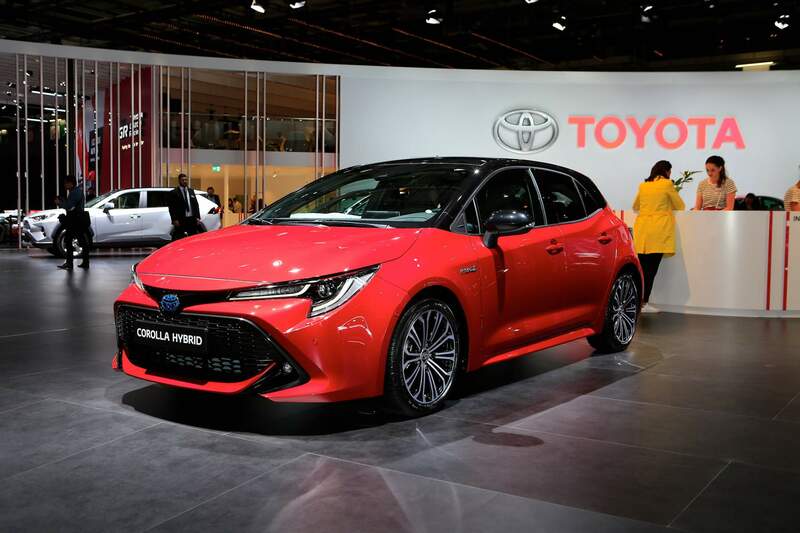 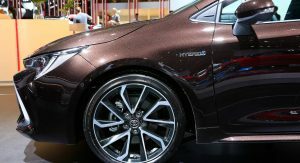 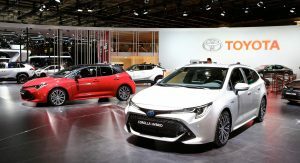 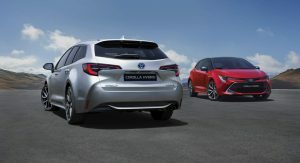 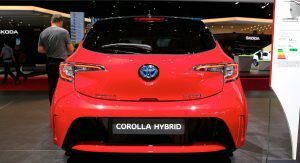 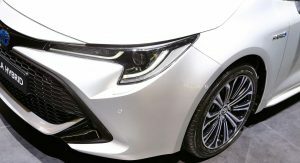 Both Corollas are based on Toyota’s TNGA GA-C platform which is said to offer a more rewarding driving experience thanks to a 10-mm (0.39-in) lower center of gravity, standard multi-link rear suspension, and 60-percent more rigid body shell. 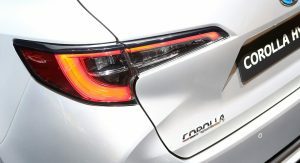 As a result, the Corolla is said to offer better handling and stability without compromising ride and comfort. 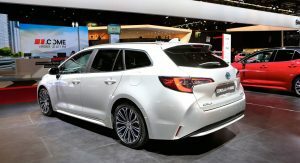 Practicality-wise, the Corolla Touring Sports benefits from a 58-mm (2.3-in) longer body than the model it replaces. 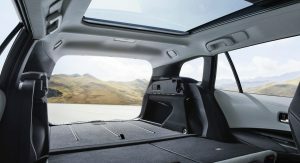 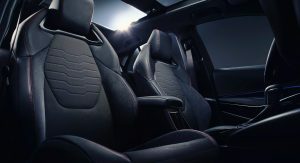 More importantly, the wheelbase is 100-mm (3.93-in) longer for a total of 2,700 mm (106.3 in), which helps the wagon provide “best-in-class rear seat passenger legroom,” according to the automaker. 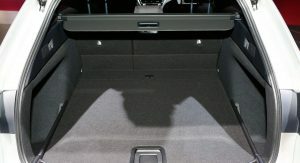 Cargo volume capacity is 598 liters (21.1 cu ft) loaded up to the parcel shelf with all seats in place. 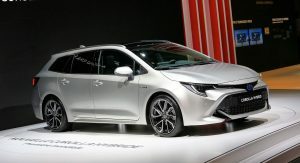 waow, i can see really significant advancements over damn auris,also toyota designs are getting better and no more boring relatively. 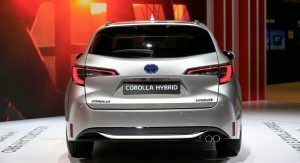 it’s not boring… but it’s really soulless. 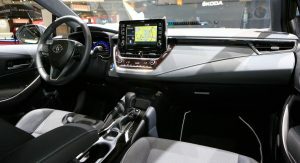 It’s overcomplicated for no reason. 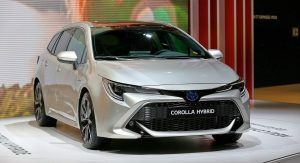 Hatchback version looks really weird. 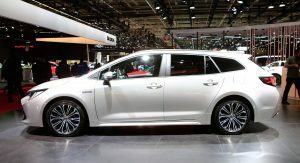 Huge bumpers, small second set of doors and back row windows. 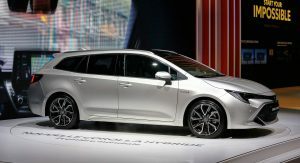 Well I’ll put my hand up and say I like it. 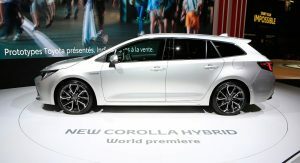 But where’s the 80’s flouro-style digital clock? 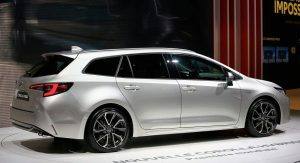 Wagon/Estate = Europe exclusive only. 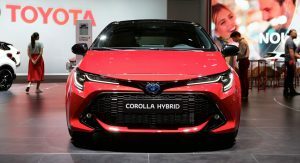 Pity, the US/Asia could benefit this model very well! 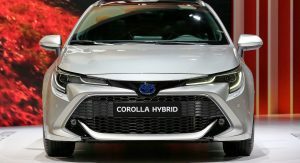 It would be worthwhile for Australia too. 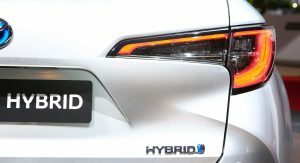 Don’t worry, Australia & NZ will easily get it. 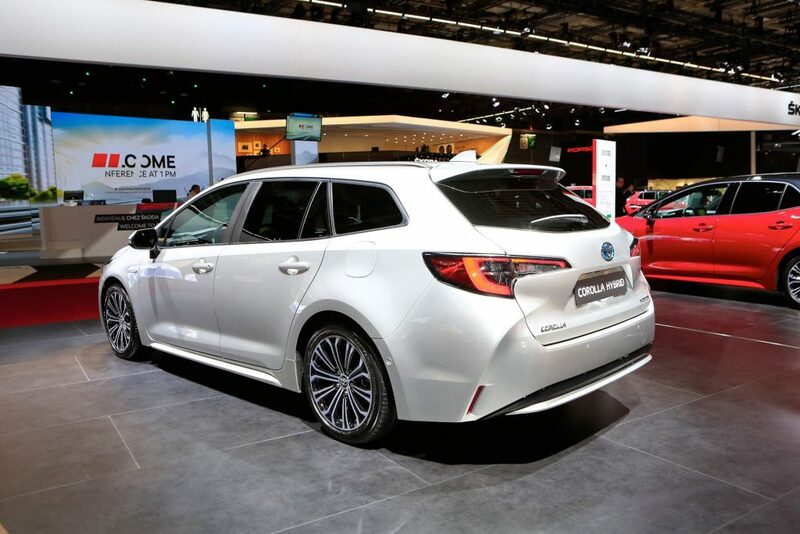 US/Asia doesn’t even know what wagon/estate is. 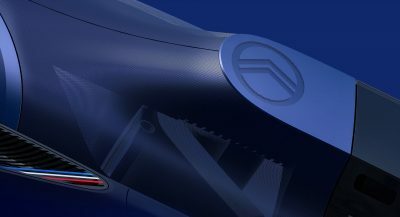 I wish that were true. 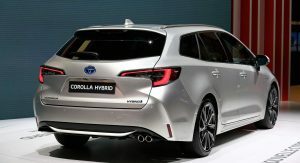 NZ gets the Corolla Fielder wagon, but Australia hasn’t had one for a while.